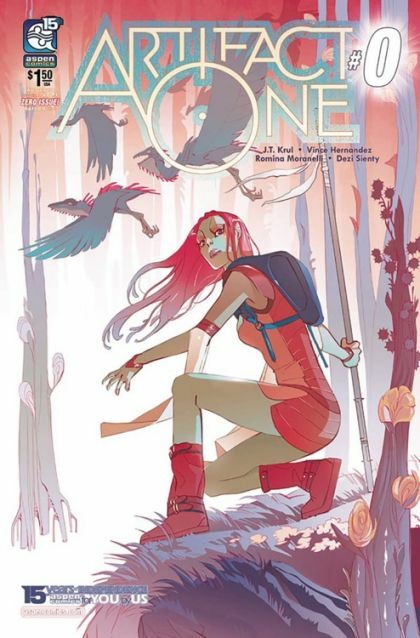 Aspen's most ambitious epic series debuts with this introductory zero issue! Introducing Remi, a young and energetic explorer and relic hunter, whose boundless curiosity leads to a startling discovery beyond anything she could have imagined! Along with her alchemist father, Remi works in secret, away from the prying eyes of the ruling clerics who lord over the realms of her world with their ancient decrees and strict devotion. Remi has her own sense of dedication - Her heart to adventure and her mind to the truth. But, what happens when that truth could change the fate of her entire planet, and destroy the very fabric of her civilization? An all-new Aspen Comics action-adventure epic debuts from the minds of creators Vince Hernandez (Michael Turner's Fathom: Kiani, Charismagic) and J.T. Krul (Michael Turner's Soulfire, Jirni) with breathtaking illustrations from newcomer Romina Moranelli!